﻿Mount Vernon & Knox County's Complete Christian Store! We welcome you to come and relax, pull up a chair, read, and enjoy the music that we have playing. We will be happy to assist you in your search. Special orders most often do not have shipping cost and our returns are much easier than the online shops. Come in and check out our selection of Wall Art, Gifts, Bibles, Greeting Cards for any occasion, and so much more! 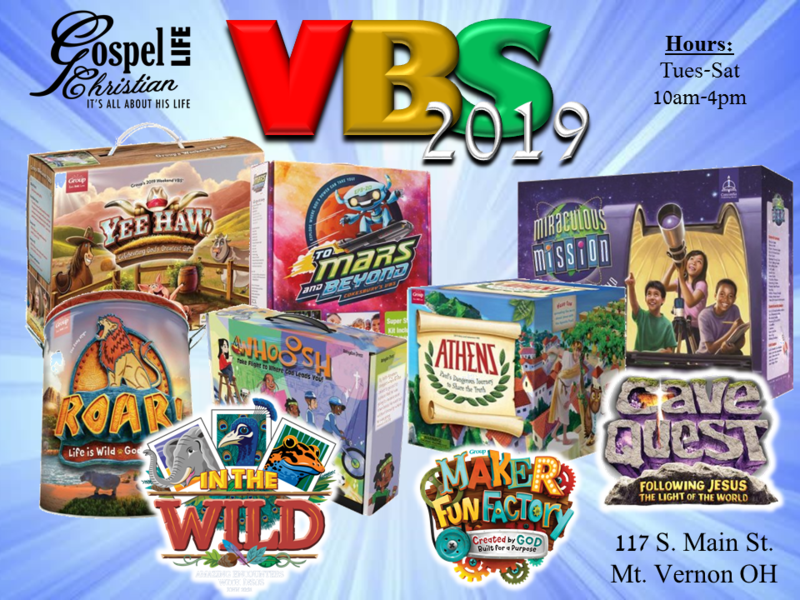 It's VBS time, are you ready? If not, come in and check out our selection of programs. If you don't see the one you want, we can order it for you.